I am not a fan of V'day. 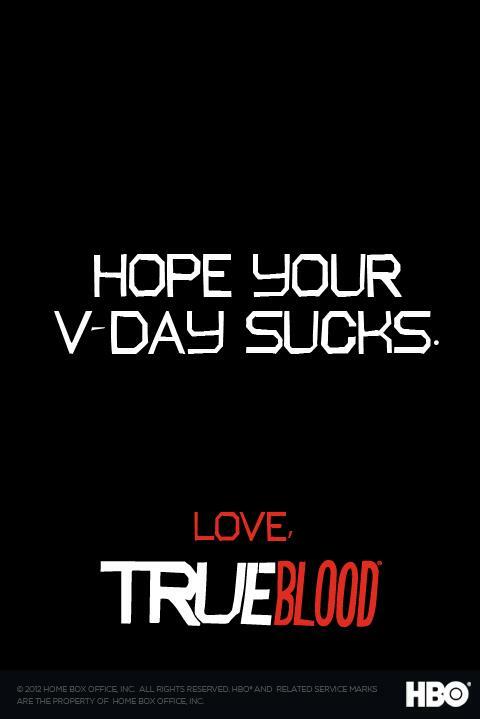 But I love me some True Blood. Have a great Tuesday. Love to you all everyday. THAT is one fabulous Valentine!!!!!!! Have a sucky v-day! All black attire here I come!!!! Mom- you just don't understand.